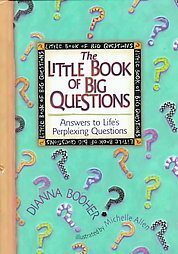 The Little Book of Big Questions - Answers to Life's Perplexing Questions! by Dianna Booher, illustrated by Michelle Allen. 112 pages. New book - Makes a nice gift - Hallmark gift book with inscription page. From a clean, smoke-free environment.